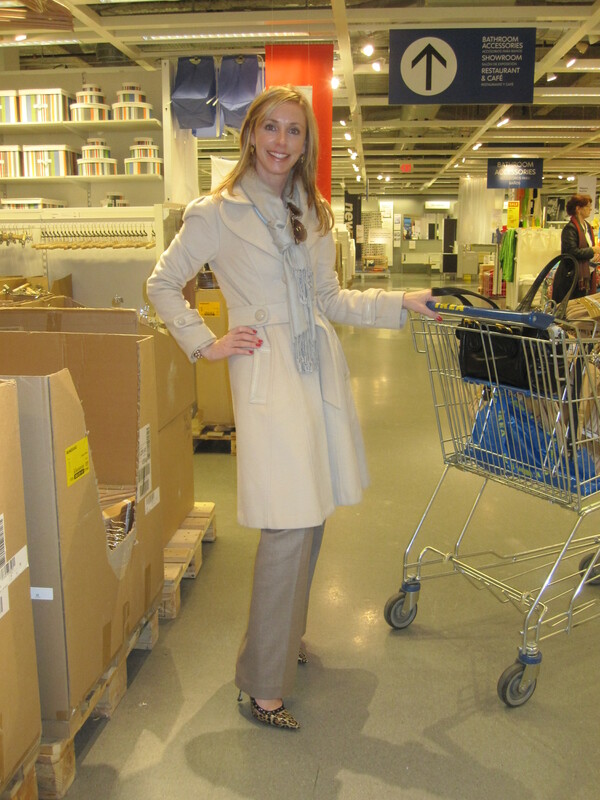 I was wandering around in Ikea at Potomac Mills in search of storage bins for my kids messy rooms when I stumbled upon a very stylish woman in the picture aisle. It is rare to find great style, rarer still to find on a random day in Ikea. I love love love the neutral palette but the shoes were what captured my heart. She said she got them from New York, which figures. Unfortunately we are hard pressed to find gems like that around here. I don’t know how much effort went into her outfit but she had Sprezzatura in spades!